When World War I erupted in 1914, the conflict seemed a world away from tranquil St. Louis. By the time of the Armistice, however, the war had affected countless Missourians in ways big and small. 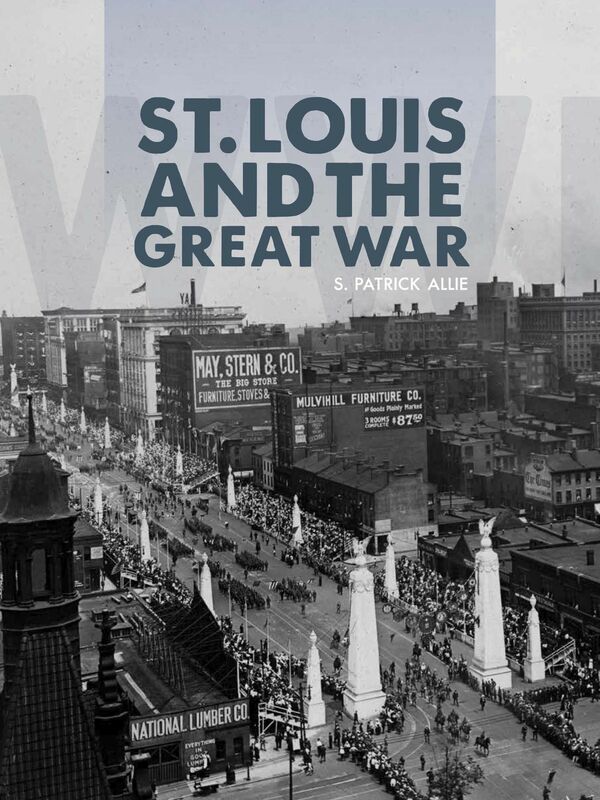 St. Louis and the Great War is a richly illustrated account of how the city and its citizens evolved and proudly served in those four years. St. Louis’s involvement in the events of World War I is largely unknown to the outside world, but it produced a number of significant contributions. Munitions that found their way onto the battlefields of Europe were manufactured in St. Louis. A local hospital pioneered the use of X-rays, providing a crucial new medical resource to help better treat the unprecedented casualties. And, in the nineteen months of American involvement in WWI, more than one thousand St. Louisans gave their lives. Likewise, the war had an irreversible effect on the daily routines of the city’s residents, whether in the form of propaganda campaigns that led to both patriotic fervor and anti-German hysteria, or in the purchasing of liberty bonds and the cultivation of victory gardens. Featuring more than 250 photographs and archival documents from the collections of the Missouri Historical Society and Soldiers Memorial Military Museum—most of which have never before been published—St. Louis and the Great War details how the war touched the city and how its citizens rose to the challenge.